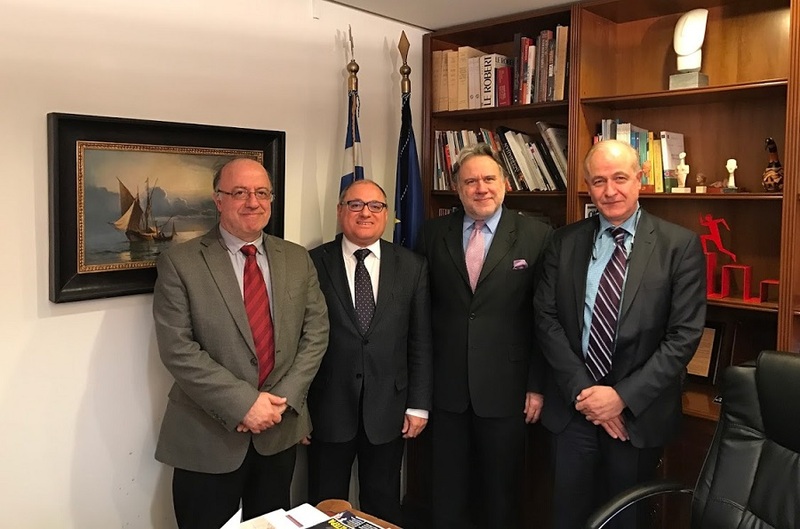 A Cedefop delegation headed by Director James Calleja discussed issues of mutual interest with Greek ministers on 20 January in Athens. 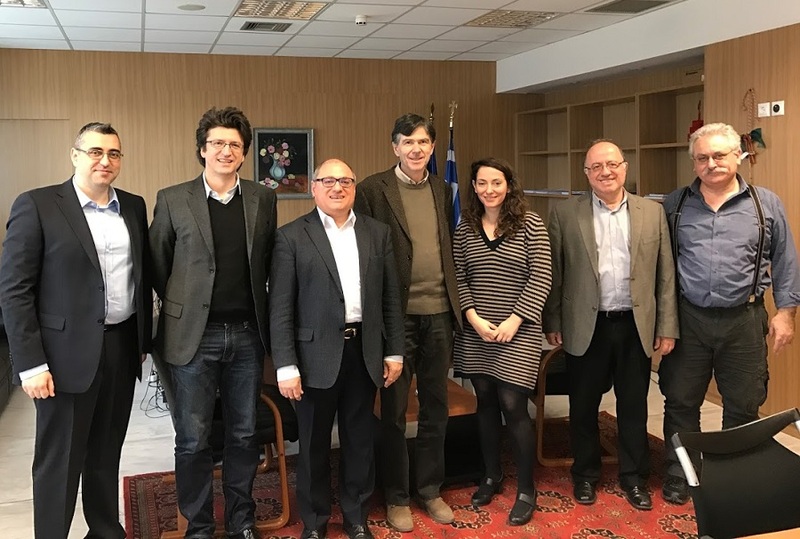 The first meeting with Deputy Minister of Education Dimitris Baxevanakis, who is in charge of vocational education and training (VET), covered all areas in which Cedefop cooperates with the Greek authorities. Cedefop’s Head of Department for VET Systems and Institutions Loukas Zahilas and expert Vlasis Korovilos also participated. The issues discussed included the next steps needed for the implementation of the Hellenic qualifications framework, the progress of the thematic country review on apprenticeship, the role of the Greek ReferNet partner and Cedefop support to the formal review of the Greek skills anticipation/matching system. Mr Baxevanakis thanked Cedefop for the longstanding support to Greece and expressed his intention to further strengthen the ongoing cooperation. The second meeting was with Alternate Minister for Foreign Affairs George Katrougalos who is familiar with Cedefop’s work. Mr Katrougalos was a Cedefop Governing Board member in the past and also up to recently Labour Minister. The Cedefop Director, who was accompanied by Mr Zahilas and expert Lazaros Tossounidis, focused on the need to update and modernise the Agency’s seat agreement as the existing one dates back to 1995 and a new Founding Regulation will shortly be in place. A joint working team will be set up to draw up the revised text.